Sugita J, Yoneshiro T, et al. Grains of paradise (Aframomum melegueta) extract activates brown adipose tissue and increases whole-body energy expenditure in men [J]. British Journal of Nutrition, 2013, 110(4):1-6. Ekanem A P, Wang M, et al. Antiobesity properties of two African plants (Afromomum meleguetta, and Spilanthes acmella) by pancreatic lipase inhibition[J]. Phytotherapy Research, 2007, 21(12):1253–1255. Shimizu Y, Iwami M, et al. Grain of paradise extracts and its active principal component 6-paradol activate the sympathetic nerve activity brown adipose tissue in rats [J]. Autonomic Neuroscience, 2009, 149(1–2):105. Sugita J, Yoneshiro T, et al. 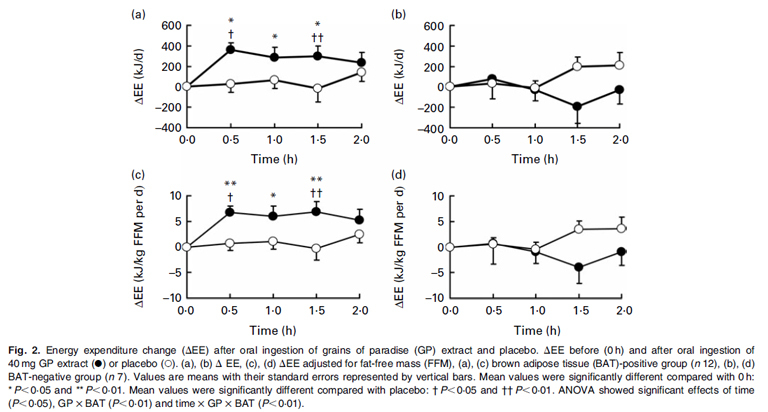 Daily ingestion of grains of paradise (Aframomum melegueta) extract increases whole-body energy expenditure and decreases visceral fat in humans[J]. Journal of nutritional science and vitaminology, 2014, 60(1): 22-27. Published clinical research of Grains of Paradise extract reduce body fat by increasing energy expenditure through the activation of BAT in healthy men. Sugita, Jun, et al. 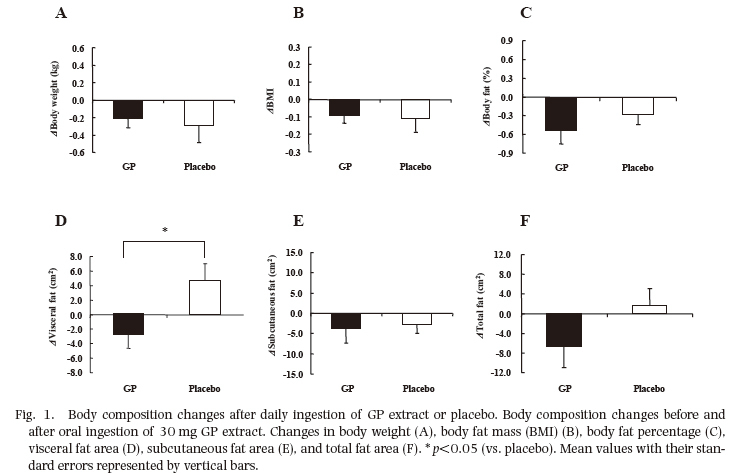 Daily Ingestion of Grains of Paradise (Aframomum Melegueta) Extract Increases Whole-Body Energy Expenditure and Decreases Visceral Fat in Humans [J]. Journal of Nutritional Science and Vitaminology 60.1 (2014): 22-27.